Get in touch with nature at Bellevue Beach and Hiidenvuori. 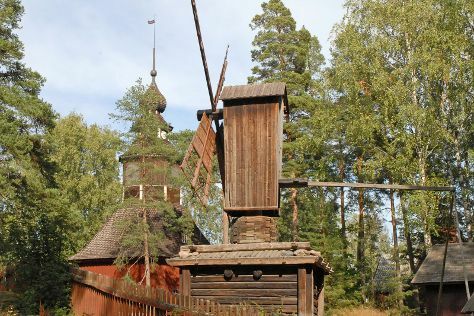 Museum-lovers will appreciate Seurasaari Island and Open-Air Museum and Fagervik Museum. Venture out of the city with trips to Riverside Park (in Kotka), Arboretum Mustila (in Elimaki) and Sipoonkorven Kansallispuisto (in Vantaa). It doesn't end there: identify plant and animal life at Niivermaki Nature Conservation Area and don't miss a visit to Porvoo Old Town. For traveler tips, photos, other places to visit, and more tourist information, read our Helsinki journey planner . If you are flying in from Germany, the closest major airport is Helsinki Vantaa Airport. In May, plan for daily highs up to 18°C, and evening lows to 7°C. Finish your sightseeing early on the 12th (Sun) so you can travel back home.